The story is set in a world where every event has been turned into programs, and mysterious monsters known as "Promin" maintain the world. However, many Promin who have turned into bugs known as "Bugmin" are responsible for many of the world's real-life bugs. Left alone, they may eventually turn into a big problem. 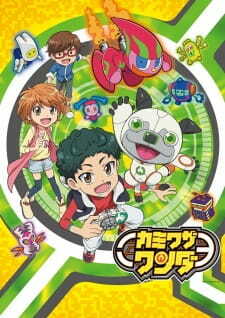 The boy Yuuto encounters the space dog Wanda, and the pair use a camera-like device and key items to capture Bugmin. Promin themselves are able to do things like "accelerate objects," "spew fire," or "create objects," through an ability known as "Kamiwaza" (miracle), and are able to fend off Bugmin with it. At first, the Bugmin only cause small, bothersome things, but it will soon elevate into a global scale threat. Can one boy and one dog save the world?